Everyone is told to get their nutrients from food -- and it’s ideal if your diet does the job -- but in reality, it’s a challenge to get all of the essential nutrients solely through food. That’s where supplements make the difference to your health. 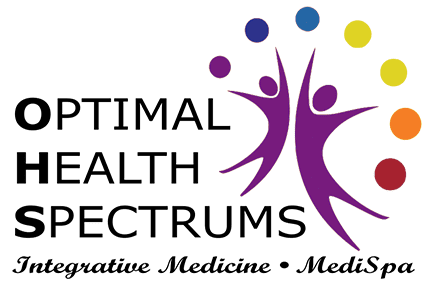 Dr. Lynne R. Mielke and Sandi Kreizenbeck, DNP, at Optimal Health Spectrums in Pleasanton, California, encourage you to schedule a consultation, so you can learn if you lack nutrients. Deficiencies lead to disease, while supplementation to replace deficiencies serves as a therapy that improves health problems. What roles do nutrients have in your health? What health conditions benefit from supplements? Some health conditions are associated with chronic nutrient deficiencies, while other conditions improve from large doses of nutrients. There’s a long list of health conditions that benefit from nutritional therapy. In fact, nutritional supplements are the primary treatment for some problems like anemia and osteoporosis. When you’re under stress -- whether it’s caused by daily pressures, illness, or trauma -- your body uses more nutrients than normal, which quickly leads to a deficiency. You need to replace those nutrients to maintain optimal wellness. Your immune system can’t function properly without a sufficient amount of many different nutrients. Some of the most important are protein, essential fatty acids, zinc, iron, selenium, folate, and vitamins A, B6, D, and E.
Why is nutrition the cornerstone of integrative medicine? Simply put, nutritional deficiencies increase your risk for disease. This means that dietary intervention and a nutritional supplementation program are essential for optimal health and wellness – and that’s exactly where Dr. Mielke and Nurse Practitioner Sandi begin every treatment plan. The specific nutrients you need, and the appropriate dose for your health, are determined by lab tests. Then we use supplements, not just to replace deficiency, but as therapeutic tools to restore balance. Do you use supplements other than nutrients? Yes, many other substances promote health and treat disease. Probiotics and the antioxidant glutathione are just two examples of the many possible supplements. 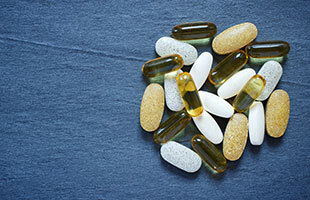 Natural substances are available to help boost your immune system, fight yeast overgrowth, support hormone replacement therapy, and prevent the type of inflammation that can cause chronic disease -- to name just a few of the benefits gained from supplements.